The Puma Blossom polo features FUSION YARN FLEX fabric that provides extreme comfort. The fabric also provides stretch for movement with ease and moisture wicking to keep you cool and dry when sweating occurs. 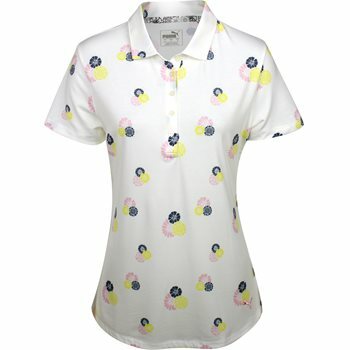 The Blossom polo is designed with a buttoned placket and features an all over sublimated floral graphic.